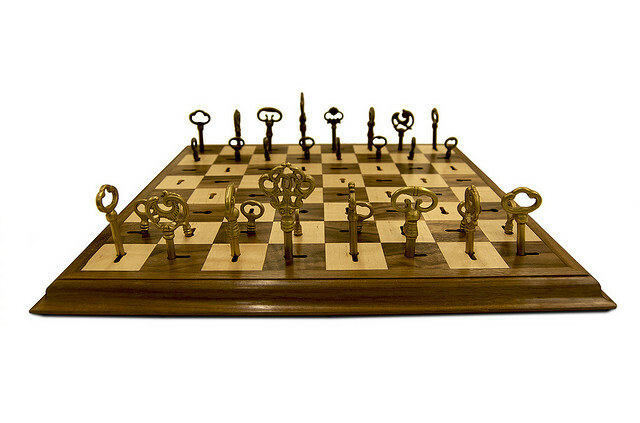 Collection of the 'Creative and Unusual Chess Sets' from all over the world. 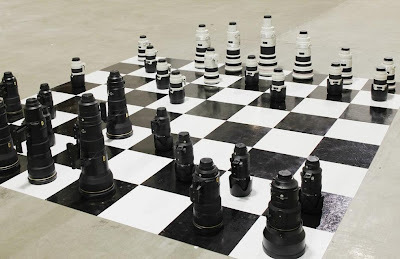 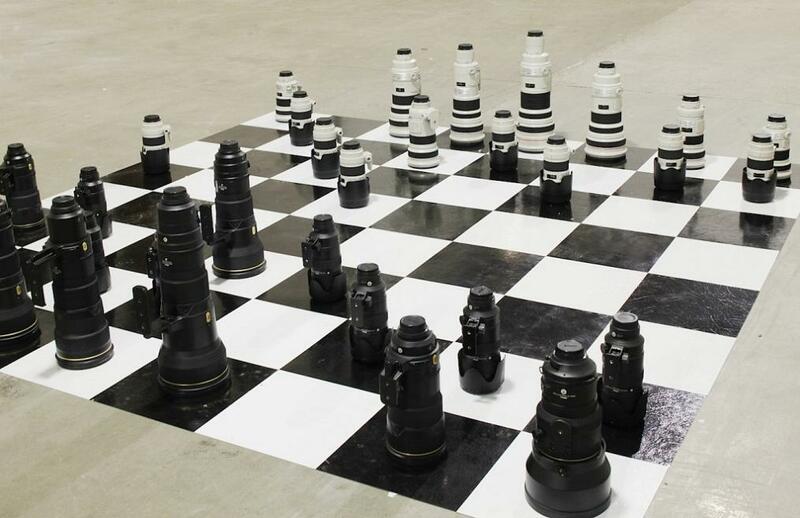 Camera Lenses Chess Set: Unique chess set made using real lenses of cameras. 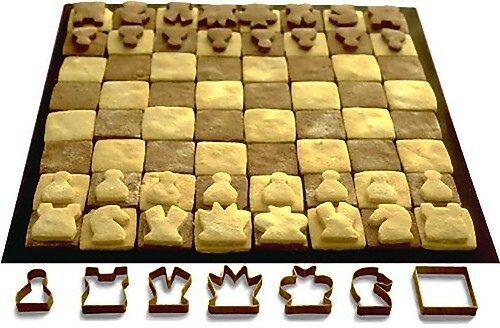 Chess Set Cookies Cutters: Create edible chess set and have the satisfaction of taking a chess piece off the board, and you can eat it as well. 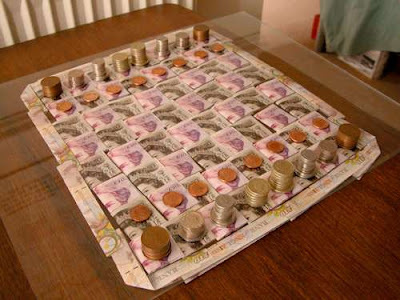 Money Chess Set: An unusual chess set that has notes for the board, coins for the pieces. 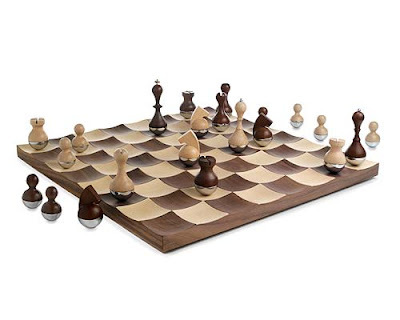 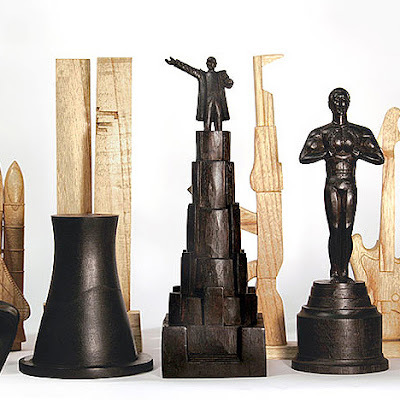 History Chess Set: This chess set is a limited edition of 'eight'; the oversized wooden chess pieces are hand-carved and each piece represents a historic event or icon from the 20th century. 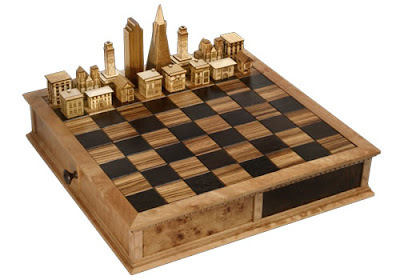 Cities Chess Set: Creative chess sets by Steve Vigar Designs; three cities are beautifully represented: San Francisco, Chicago, and New York. And the chess pieces feature skylines and residential architectural styles made from wood and put together by hand. 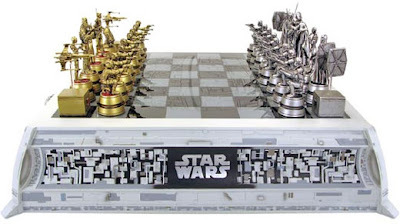 Starwars Chess Set: This awesome collectible chess set has all your favorites on the chess board. 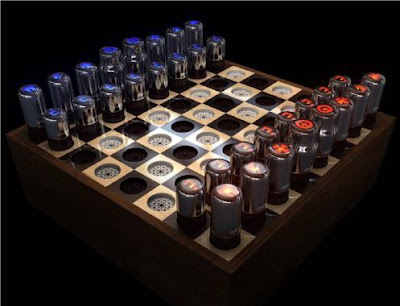 Vacuum Tube Chess Set: This unusual chess set is created with functional vacuum tubes that actually glow while you play. Auto Parts Chess Set: Artist Armando Ramirez created this unusual and cool chess set using auto parts. 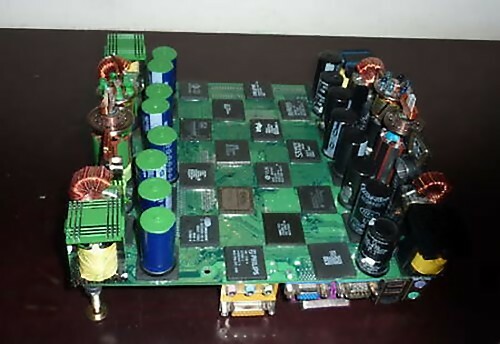 Used Computer Parts Chess Set: Now we have another interesting way to reuse computers and laptops. 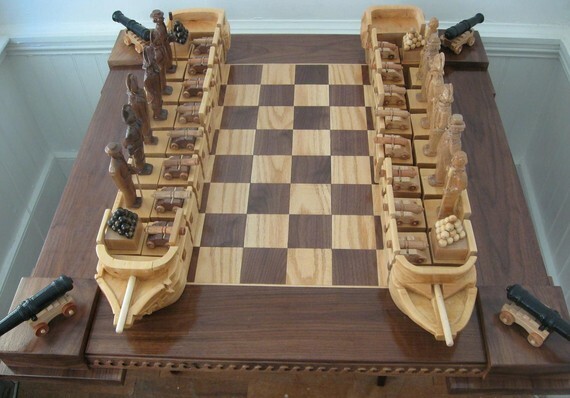 Wooden Ships Chess Set: Cool handmade wooden chess set features two ships. Cardboard Chess Set: Unusual chess set made out of cardboard. 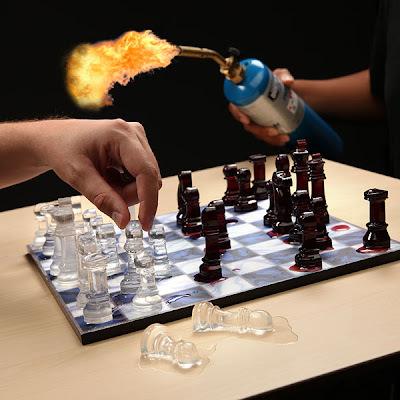 Transparent Chess Set: This unusual chess set is inspired by "Alice through the Looking Glass", when the chess pieces touch the surface of the board they turn transparent. 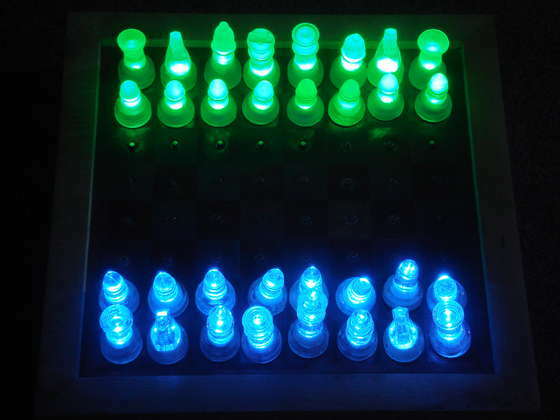 Light Chess Set: Creative glowing chess set allows you to play in the dark. Key Chess Set: Dave Pickett designed this unusual chess set. 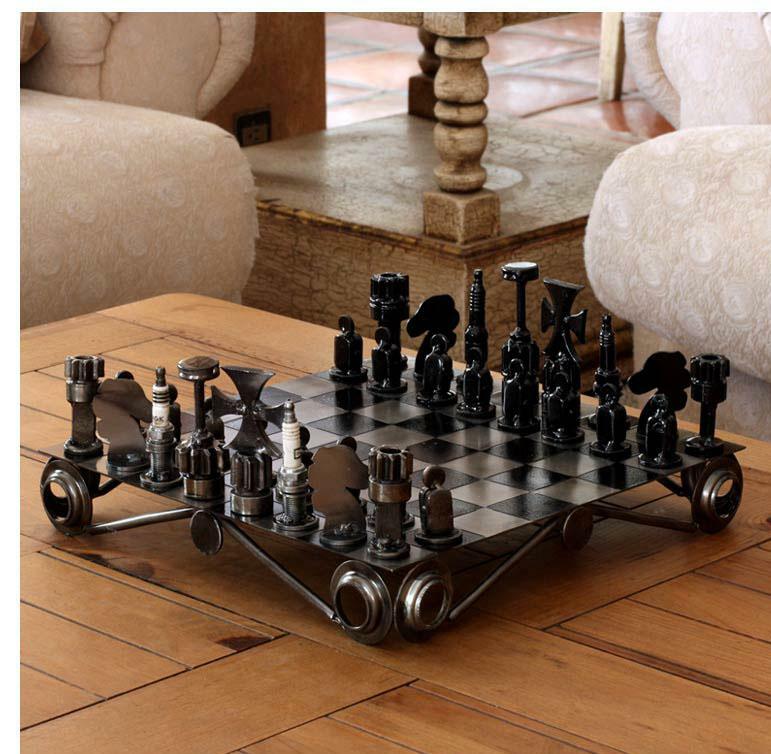 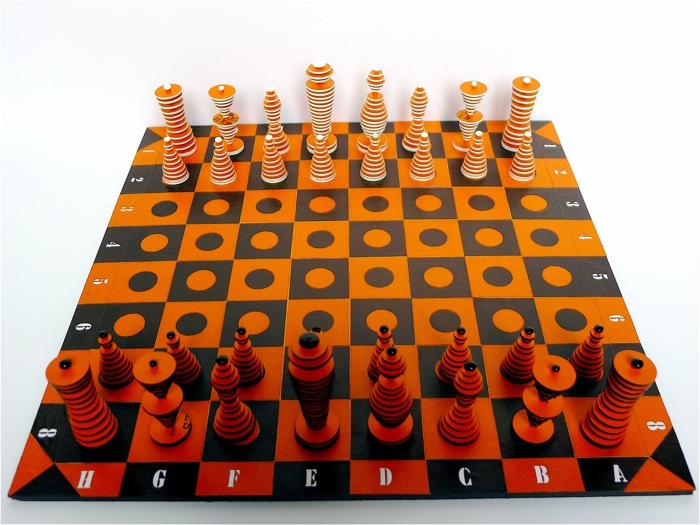 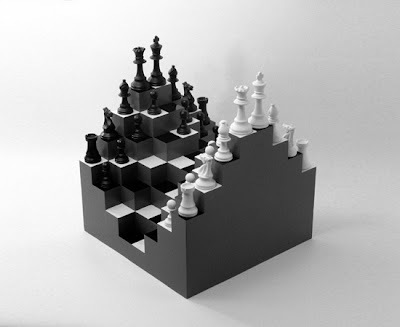 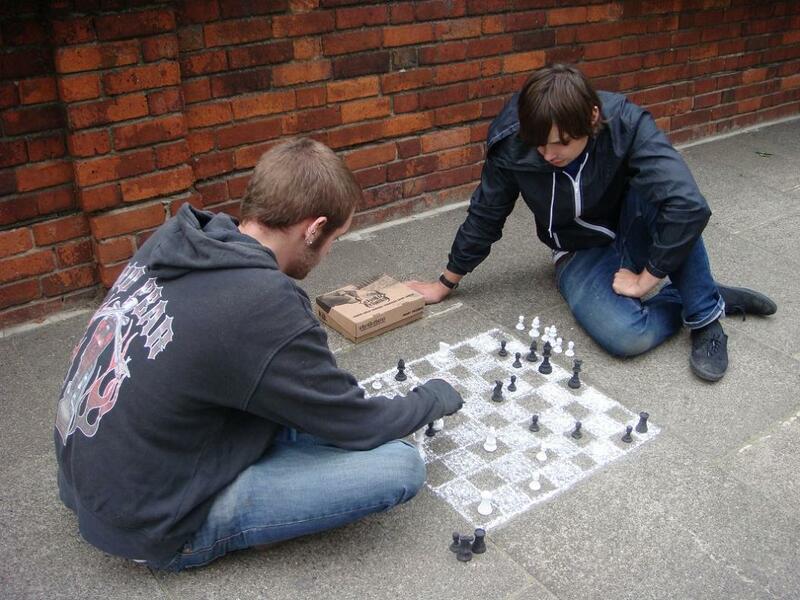 3D Chess Board: This unusual chess board adds an extra dimension to chess. 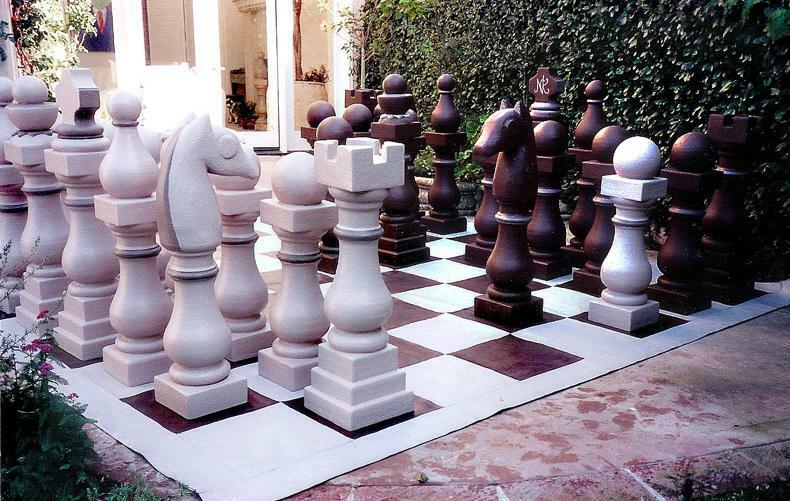 Chalk Chess: These beautiful chess pieces are made from black and white chalk. 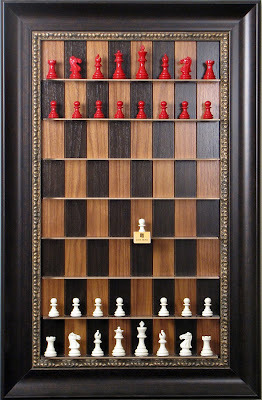 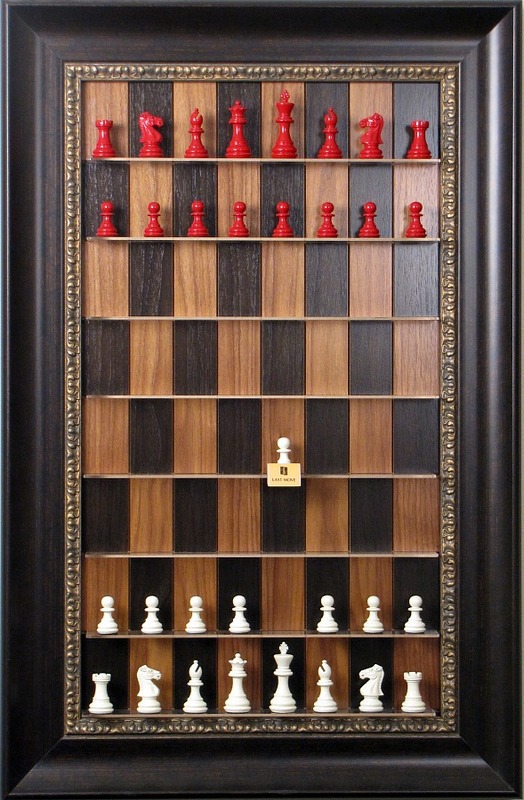 Straight Up Chess Set: Vertical wall fixable chess board is an innovative way to play and display your prized chess set. 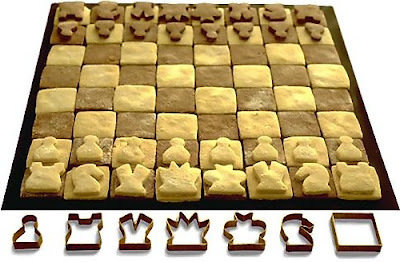 Ice Chess Set: Create these unique chess pieces by freezing water or juice in chess set ice trays. Wobble Chess Set: The concave board causes the rounded chess pieces to wobble, providing an unexpected element to a timeless favorite.